Located at a distance of 39 km. The Ordesa and Monteperdido National Park is, without doubt, one of Spain’s natural treasures. Dominated by Monteperdido, the highest limestone massif in Western Europe, these close to 40,000 acres of land were declared National Park in 1918. The Ordesa, Añisclo, Escuaín and Pineta valleys compete in the exuberance of their vegetation, the scent of moss, pine trees, firs, edelweiss, and moist earth, and the music of the running water through ravines and cascades. Our senses are awakened by the colour palette displayed of the landscape and the water flowing from gorges to valley ends, the pure scent of nature reaching us to form indelible memories. 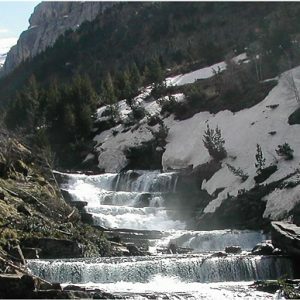 Click here to visit the Ordesa National Park website..